Belvedere Designs: April 2015 Customer Photo Winner! April 2015 Customer Photo Winner! Our customer Shannon sent in this picture of her new Family is Everything Wall Quotes™ Decal. 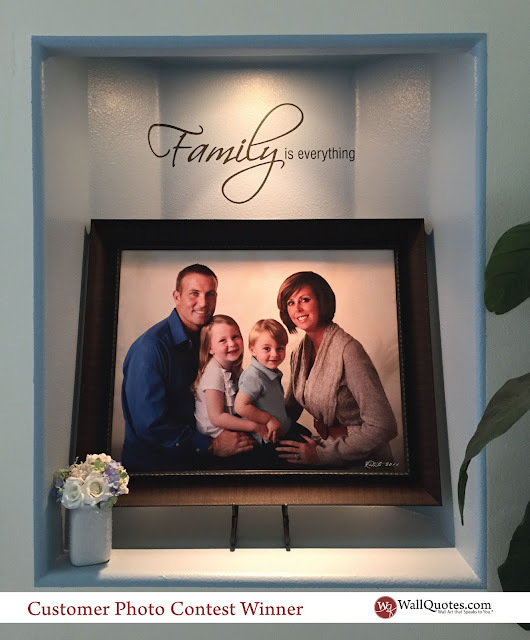 It looks amazing in her nook and is the perfect compliment to her gorgeous family photo. She got the 11" tall x 23" wide size in Slate. Great installation Shannon!